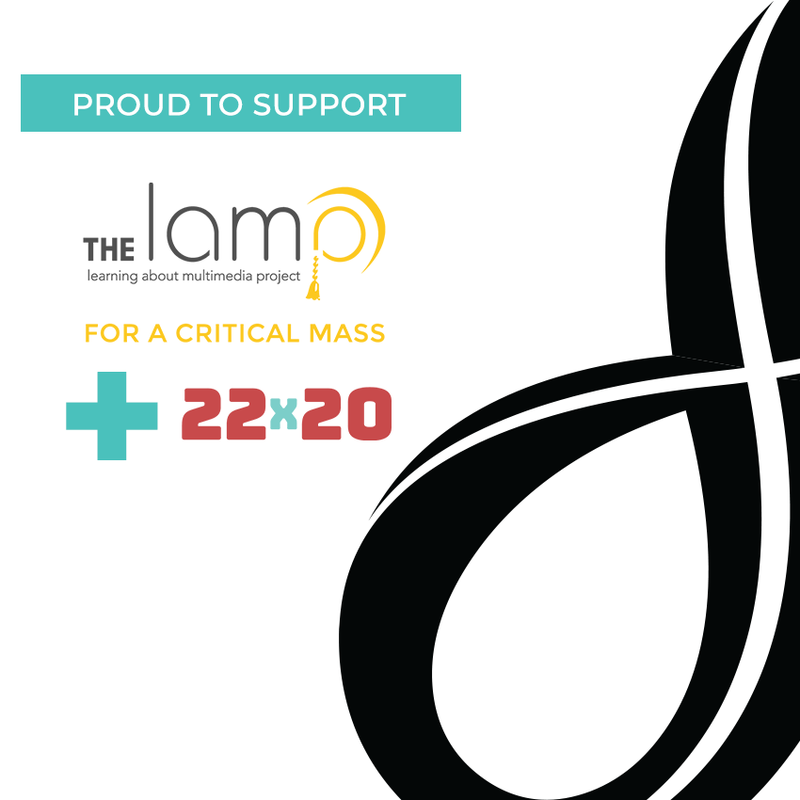 ASTORIA, QUEENS, NY, 3/21/18 – 816 New York, a full-service strategic branding and marketing consultancy, announced that it will partner with The LAMP to collaborate on a robust cause marketing campaign for 22×20. 816 New York will donate time to the New York-based non-profit organization, which creates multimedia programs to teach students media literacy skills. 22×20‘s goal is to inform and lead 22 million voting-age teenagers to the polls in upcoming U.S. elections. By partnering with community leaders, educators, students, and corporate sponsors, this talented team of changemakers aims to stimulate curiosity and disavow misunderstanding among young people about the political process—particularly the importance of each voice. 816 New York will work hands-on with the LAMP team to provide various strategic services: branding; campaign and program development; content guidance; digital marketing; and outreach efforts. The initial push will center around a widespread cause marketing campaign. Co-led by The LAMP and Circle, the Center for Information & Research on Civic Learning and Engagement, 22×20 aims to get the 22 million voting-age American students registered and to the polls in time to participate in the 2020 election. Political polarization and the overwhelming amount of content available make it easy for teens to tune out and think their voices don’t matter. Among youth who voted in 2016, only 25% felt confident about American democracy. Youth voting has plateaued and is highly unequal, even among the youngest voters. We must start earlier, and support teens before they reach 18 so they know their voices do matter. “Teenagers’ response to the Parkland shooting elevated awareness of the power of young voices. But the Millennial generation has always been amplified. They are heavily embedded with digital media, especially social media, and we see great opportunities to reach them and speak to them in a voice with which they already so powerfully resonate,” 816 New York founder and director Sarah Williams says. The 22×20 campaign is supported by Outbrain, the Pinkerton Foundation, YVote, the National Council for the Social Studies (NCSS), and many other fine organizations within New York City and beyond. The LAMP is bringing 21st-century survival skills to youth, parents and educators. We provide vital, hands-on services that help people in our New York City communities and beyond navigate and thrive in this loud-media environment. See their list of partners & donors and learn more at thelamp.org.